Obesity in the United States has increased at an alarming rate. According to the Center for Disease Control, between 1986 and 2000 the prevalence of obesity has quadrupled. Today, more than one third of Americans are obese. Ironically, nurses, the healthcare professionals who are involved in educating others on wellness, are not exempt from these statistics. A recent study from the University of Maryland’s School of Nursing found that a staggering 54% of nurses are either overweight or obese. Some hospitals refuse to accept the current statistics and have developed innovative and thoughtful programs to encourage health at their facilities. One hospital we know of has taken a number of proactive approaches to combating obesity within its organization. Two of their most popular programs are the “440” meals and the annual Biggest Loser Challenge. The “440” meal is an innovative approach to healthy dining. Each day a meal containing fewer than 440 calories is offered in the cafeteria for a cost of just $4.40. In addition to being low in calories, the meal is low in fat, sodium and well balanced. To make this offering even more enticing to employees, the hospital provides one free “440” meal for every eight purchased. The success of this program has sparked discussions of expanding the “440” offerings to the grab and go selections, deli and other food stations within the cafeteria. Another exciting approach to combat obesity at this hospital is the Biggest Loser Challenge. Annually, approximately 150 employees compete to win the title of “Biggest Loser”. Each participant receives personalized counseling from a weight loss counselor to craft specific, measurable, and achievable goals. Participants meet weekly with the counselor until the end of the challenge. While there are some similarities to the Biggest Loser reality TV show, there are some striking differences. For example, each participant belongs to a team of five. If one team member fails to meet a goal, the team does not meet their goal. Working as a team improves the individual team member’s accountability because no one wants to be the team member who causes the team to fail. Despite this added pressure to succeed, the dropout rate for the challenge is less than 10%. All employees are encouraged to participate in the challenge. It doesn’t matter if an employee has 5 or 50 pounds to lose. Their ultimate goal is to prevent obesity. While there are some troubling statistics regarding obesity and healthcare professionals, thoughtful, innovative solutions are available. You and your organization can take a proactive approach to preventing and combating obesity. 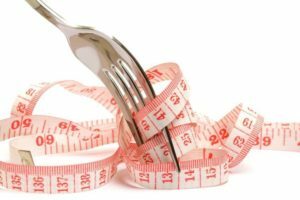 Why not try the “440” meal idea or the Biggest Loser Challenge in your hospital? To start you off on the right track, our gift to you is a healthy and easy party mix alternative – enjoy!